If you live in Seattle, now is about the time when you might find yourself feeling lethargic, despondent, and perhaps a bit irritable. SAM’s got the fix for your Seasonal Affective Disorder and it’s not vitamin D, it’s SAM Lights! Thursday, December 14, 6–9 pm get outside despite the cold and join us at the Olympic Sculpture Park for a luminous evening amidst iconic sculptures. There’s something for everyone with performances, food trucks, art activities, and Z Path lit by luminaria. Here’s a preview from two of our partners who will be bringing interactive art activities into the park just for you. 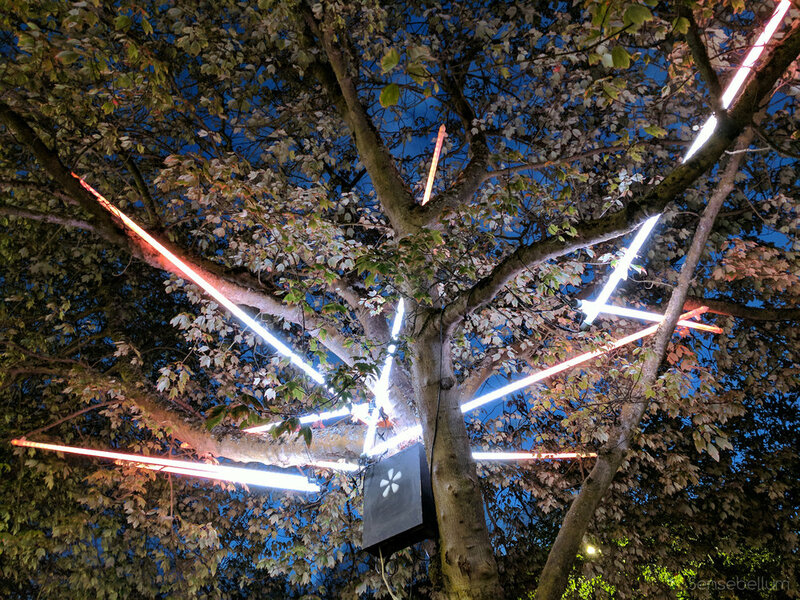 Sensebellum, a company specializing in blending interactive art and tech, is proud to present the Arborealis Tree Lighting System! Over 120+ light fixtures placed in 14+ trees around the Olympic Sculpture Park will light up the night as patrons walk around the grounds. All of the trees are synchronized by custom software and are driven by an interactive kiosk where a map of the park becomes the interface. Press this button here and you hear a sound and see some light dance from branch to branch. What about that one over there? Better grab a friend because a good ol’ jam session just might occur! Whatever your style, it will sure to be a sight to see and we are sure very excited to bring out one of our favorite installations for all to enjoy! Bop Bags is an interactive inflatable installation by the Seattle Design Nerds. Partly inspired by fungi that sprout in the wet season these inflatables appear to have burst forth in colorful bloom and are a reminder that our rainy season is still a vibrant one. 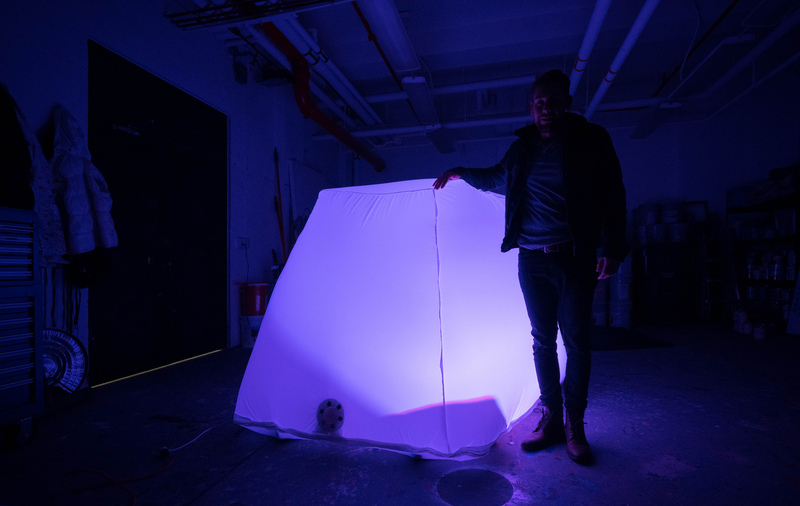 These eight cuddly orbs invite touch and play by shifting color when tapped or “bopped.” Visitors are encouraged to tap on the surface of this series of gigantic cuddly lanterns which respond by changing colors. Work together to create a symphony of illumination! As visitors descend through the Gates Amphitheater, the inflatables lure passersby from the path with their subtle glow and bubbly personality. Placed in a sympathetic arrangement to Richard Serra’s Wake, the orbs reward both play and patience. The Seattle Design Nerds are an all volunteer non-profit organization dedicated to design in the public realm. We focus on making exciting things for the public that can be experienced in unexpected locations and ways. Images: Courtesy of Seattle Design Nerds & Sensebellem.